Meditation is most beautiful ugliness. awaiting you. Come to my place. Stay with me. Eat with me. Sleep in the same room as me. And you will become like me. time I knew that these words were not personally meant and that they could as well have been spoken to you, dear reader, if you had the good luck to be at this time at this place.And then again this fragile voice - reciting spontaneously flowing poems in streams of consciousness. Devotees enter the room with food, prasad. They offer it to Him with tremendous reverence. He eats lots of it with a strange pleasure while his voice continues this wonderful song of words. But now these fragile melodies are rhythmically mixed with big burps coming from His stomach. But now it is all too late. In this intoxicated state I am in now I cannot tell the difference between a burp or God's voice. I have to continue the story about Manav Dayal. 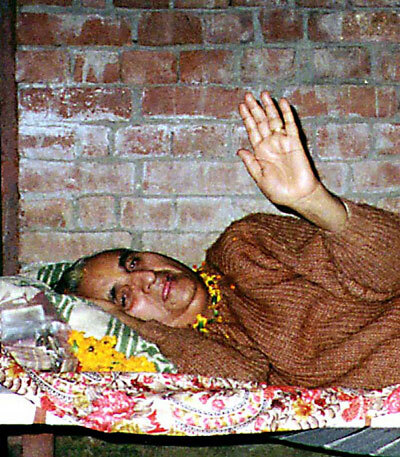 I went to His ashram in Hoshiarpur. And at that time I met so many beautiful beings! ... it could no longer just be a lucky projection of my own beauty: Shabdanand, Lahori Pandi ji, Sita and a lot of others just passing by. A devotee from Hyderabad, Suresh Babu, arrived. He was my age, late 30ies and a successful man having his own company. He is also a passionate wild life protector and photographer. He told me many wonderful things. The story I want to narrate now begins where the burp ends. Suresh told me: "I was - as you are now - staying together with Manav Dayal in his private room. One night he came out of the bath room, coughing and with almost no clothes on. My first thought was: My dear GOD... is this my Guru? Is my Guru that ugly? I cannot even look at this sight. Why is he old? Why can I not have a young beautiful Master? Full of doubt I went into sleep. In the middle of the night I was awaken by something pulling my arm. I looked up and saw a Divine Being of light so radiant that I could not contain the beauty. It was such an intense beauty that it felt like pain. I cried in terror: Go away!! I cannot look at you. The Being smiled teasingly and asked: Do you find me beautiful now? Am I beautiful enough for you? Yes, Yes I cried! Next morning Manav Dayals first question to me was: Do you find me beautiful? 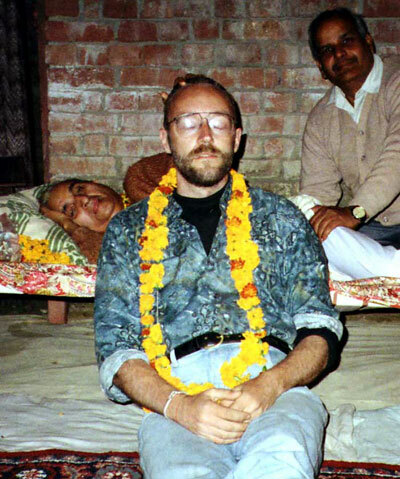 Shortly after arriving in Manav Dayals Ashram there was a great gathering with several thousands of people coming to celebrate Him. only containing a few hundred Indian rupees. One hour later when I was walking around in the Guru Poornima crowd my money belt was stolen. 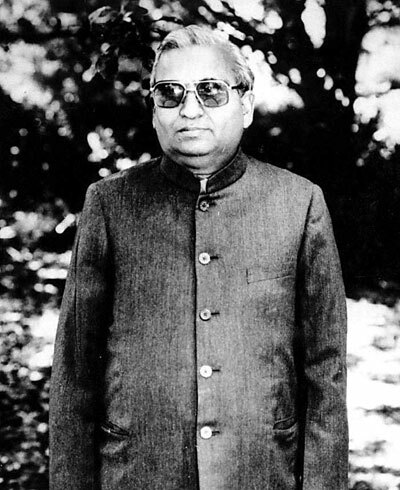 Then Shabdanand came: "Manav Dayal calls you." And yes... I had to laugh... With a mischievous smile. Manav returned passport and money. I put it all in my pocket and disappeared into the crowd of celebration. This was the last money ever between me and Manav. Manav Dayal/I.C. 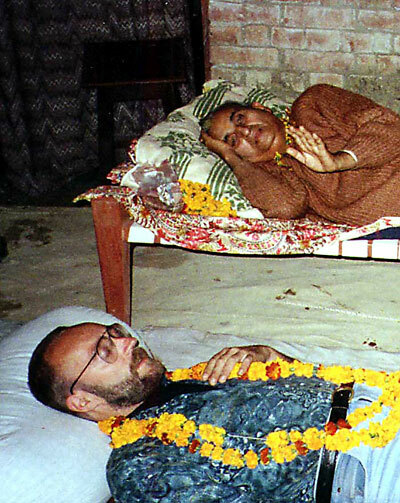 Sharma lived until recently with his devotees in a peaceful Ashram in Punjab. I stayed with him for five month. He never asked me to do anything for him. He just gave - gave bliss - gave food - gave shelter. He has now left his body. 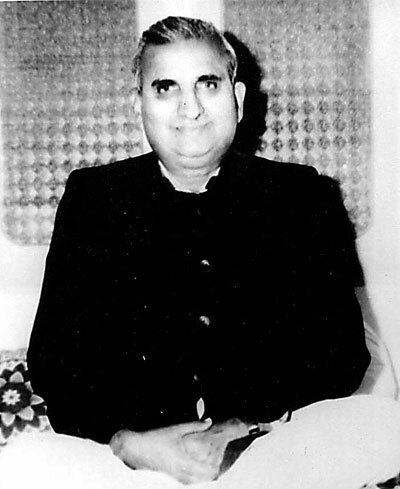 he in 1981 was appointed as head of the Manavta Mandir Mission by Faqir Baba. 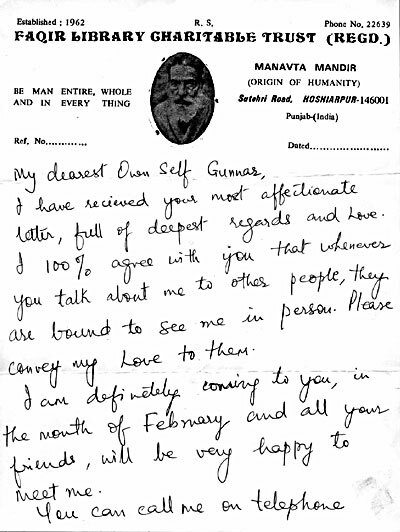 Here he makes a kind of New Age synthesis of Cayce Western approach and the Eastern tradition of Radha Soami.